The French telecom group’s stock leapt 6 percent on talk that its controlling shareholder is considering a buyout. A bargain-basement valuation and relatively low debt make that a plausible idea. Xavier Niel could triple his money in five years unless a push into Italy is a flop. A guest speaks on a mobile phone as she arrives for the French telecoms operator Iliad's media conference in Milan, Italy, May 29, 2018. Shares in Iliad, the French telecoms group controlled by billionaire Xavier Niel, rose 6 percent on Sept. 7. A Reuters report said that traders attributed the move to rumours that the company would be taken private. The company declined to comment. Niel said on Sept. 4 that he was not ready to lose control of the group, and would not initiate a consolidation of the French mobile market. 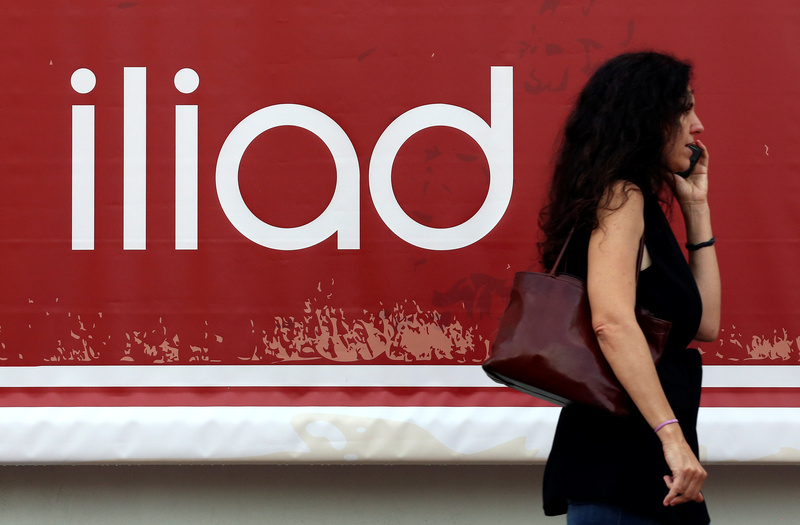 Iliad’s shares were trading at 111.3 euros at 0810 GMT. That was 6.1 percent above their Sept. 6 closing price.